For 10 years (that’s 100 in digital health years), Amos Adler has been dedicated to the adoption, scale-up and commercialization of digital patient engagement. 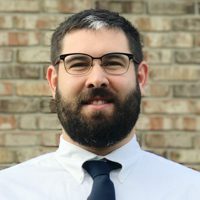 Having deployed dozens of successful (and some not-so-successful) data-driven, mobile, telehealth and web-based support programs, his personal mission is to make health data useful to empower people to achieve their healthcare goals. His passion is bringing together evidence, empathy and business requirements as design elements to drive precision digital patient engagement solutions. For almost a decade, Amos has been working towards common metrics for the evaluation of digital health and an objective approach to the measurement of digital health outcomes. Commercialization models such as Joint Ventures, Licensing and IP Co-creation, are just a few of the ways Amos has built initiatives within the digital health world with multiple stakeholders. 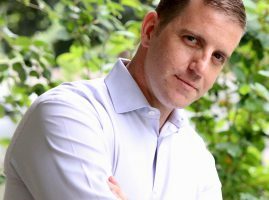 As the founder of MEMOTEXT and A4i Inc., he tries to balance scientific rigor and market forces to drive innovation and make a difference in healthcare. David Augsburger is the Director of Clinical Informatics at Major Health Partners, the first hospital built in Indiana since the implementation of the Affordable Care Act. David has been with Major Health Partners for ten years, and has developed a broad perspective of healthcare delivery across the care continuum. David has a clinical background as a registered nurse, gaining graduate degrees in nursing administration and business. For the last year, his focus has been on improving efficiency in productivity, communication, and workflow using technology. In January 2017, when the hospital moved from a 100,000-square- foot facility to a new, state-of- the-art 350,000-square- foot facility, David and his team managed the successful expansion of the hospital’s communication platform. Clinician adoption of secure text messaging and other technologies have advanced care team communication, elevated patient experience, and improved collaboration between providers, nurses, and ancillary staff. Dr. Barreau’s passion — to improve patient care through better communication — is the foundation for the Doc Halo clinical communication platform, Halo Spectrum. He is Board-certified in Internal Medicine, Hematology and Medical Oncology. 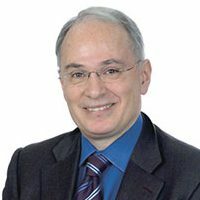 He completed his fellowship in Hematology – Oncology at the University of Cincinnati, and prior to his retirement from active practice he sub-specialized in breast cancer treatment. 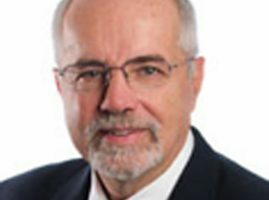 In his role as the former director of the TriHealth Cancer Institute in Cincinnati, Dr. Barreau worked to expand the use of multidisciplinary clinics, which would in-turn improve the quality of cancer care through better communication. With more than 15 years of administrative and clinical experience, Dr. Barreau knows first-hand the need for physicians to communicate securely and quickly with other physicians and nurses. He is a visionary entrepreneur who is adamant about holding firm on the company’s mission: To save lives everyday by unifying health systems under one Halo of communication. 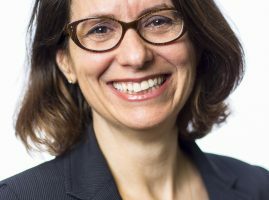 Dr. Biederman is Chief of the Clinical and Research Programs in Pediatric Psychopharmacology and Adult ADHD at the Massachusetts General Hospital, Director of the Alan and Lorraine Bressler Clinical and Research Program for Autism Spectrum Disorders at the Massachusetts General Hospital, and Professor of Psychiatry at the Harvard Medical School. Dr. Biederman is the author and co-author over 800 scientific articles, 650 scientific abstracts, and 70 book chapters. 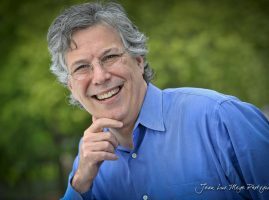 Dr. Biederman is ranked as one of the highest producer of high-impact papers in psychiatry overall throughout the world by the Institute for Scientific Information (ISI). The same organization ranked Dr. Biederman at #1 in terms of total citations to his papers published on ADD/ADHD in the past decade. In 2014, Thompson Reuters named Dr. Biederman on their list of The World’s Most Influential Scientific Minds, as ranking in the top 1% by citations for the field of psychiatry. Dr. Biederman’s work is supported by multiple federal and pharmaceutical industry grants. 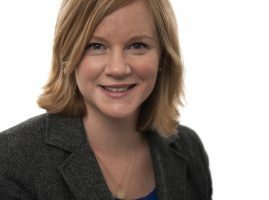 Liz Boehm is director of research at the Experience Innovation Network, part of Vocera. Her life’s work is to restore dignity and respect to the healthcare experience. 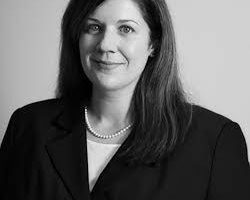 Liz has an extensive healthcare background including 15 years as leader of global healthcare research at Forrester Research. Her work focused on patient and consumer behavior, delivery and payment system management, and the role of technology in helping to transform healthcare. 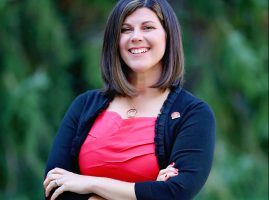 This experience made her a national expert on experience transformation. Beginning her career as a Peace Corps volunteer at a health center in rural West Africa, Liz is relentless in her pursuit to improve human connections and conditions in healthcare. Through professional and volunteer work in hospitals, she’s developed a profound respect for the dedication of the doctors, nurses, and staff who commit their lives to caring, as well as the courage of patients who survive and thrive as a result of their combined efforts. Liz holds a B.A. in women’s and gender studies from Amherst College. Brad previously ran DIC Entertainment as President for six years after working for Donaldson, Lufkin and Jenrette as an Investment Banker. After acquiring the company with Bain Capital from the Walt Disney Company in 2000, he helped grow the company from less than $10 million of revenues to over $80 million in 2005 when he took the company public on the London Stock Exchange at a $200 million valuation. Brad received his BA from UC Berkeley and an MBA from the University of Chicago. Narath Carlile, MD, MPH, is the Chief Medical Information Officer for ACT.md, a digital health company based in Boston. 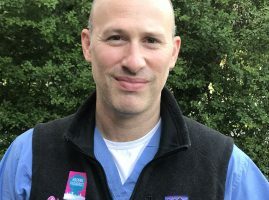 He is also a practicing physician in Internal Medicine at Brigham and Women’s Hospital in Boston, and an instructor at Harvard Medical School. Prior to joining ACT.md, he was involved in a number of informatics projects including developing an open source paging system for hospitals in Africa, mobile decision support for community health workers in Mexico, interactive voice response systems for medical clinics and educational software used internationally. He has previously served as a director of engineering, and as the director of a software development center. Narath has a BS in Computer Science from York University, an MD from Dartmouth Medical School, and an MPH from Harvard University. He completed his medical training in Internal Medicine and Global Health & Social Equity at Brigham and Women’s Hospital in Boston. 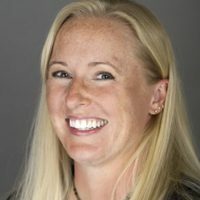 Dr. DeAngelis is a senior physical therapist at the Center for Neurorehabilitation, Boston University where she has been providing physical therapy services, contributing to research and implementing educational programs for various patient populations and healthcare professionals. Dr. DeAngelis’ recent research projects have focused on the use of mobile health technology to improve exercise engagement in people with Parkinson disease, older adults at risk for functional decline and to reduce risk of pressure ulcers in people with spinal cord injury. Dr. DeAngelis received a Bachelor of Arts degree in Biology from Lafayette College, a Master of Science degree in Physical Therapy from Boston University College of Health and Rehabilitation Sciences: Sargent and her Doctorate in Physical Therapy from Temple University. She is also a board certified specialist in Geriatric Physical Therapy and a member of the American Physical Therapy Association. Mike has over 20 years of experience building high performing teams. In his role as Chief Strategy Officer, Mike is responsible for the product, partner, and customer implementation/support functions. Prior to joining Mobile Heartbeat in 2014, he held leadership positions with Dovetail Health (acquired by Optum) and Arcadia Solutions. Mike began his career building and delivering complex technology-based solutions for AMS (now CGI) and Sapient. Mike has a degree in Computer Science from Virginia Tech. Dr. Dobson’s interests include simplifying and standardizing processes in medicine to create high reliability, selecting sustainable treatment options based on number needed to treat, and supporting work satisfaction among healthcare staff. Angus Douglas is a healthcare technology strategist with more than thirty years of experience in mobile technologies and IT. While developing software for hospitals in the early 1990s, Angus became attracted to the potential for employing mobile technologies and real-time information to improve workflow efficiency and clinical outcomes. In addition to founding his own software development business, Angus served as Vice-President of Sales and Marketing for a startup company providing RFID systems to healthcare providers, utilizing location awareness to drive quality and patient flow. Since 2010, Angus has been part of the Clinical Infrastructure & Informatics team at GE Healthcare where he is currently Chief Mobility Architect. In this latest role, he assembled a solutions platform that leverages smartphone technologies to transform care processes and extend the clinical value of the GE portfolio. Dr. Michael Docktor is a practicing gastroenterologist at Boston Children’s Hospital. He works to use technology and design thinking as a way to improve patient care and experience. 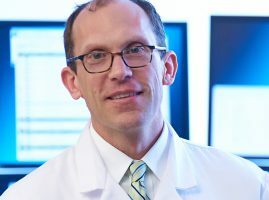 He serves as the Director of Clinical Mobile Solutions and has spearheaded efforts to bring technologies that can help clinicians work more productively and efficiently. Michael believes that well designed apps and mobile tools can have great impact on patients through improved education, engagement and ultimately, understanding. As the Clinical Director of Innovation, he also helps their innovation team build internal apps within Boston Children’s and is working to bring outside technologies into the organization. He co-founded and leads Hacking Pediatrics, a group whose mission is to bring together talented innovators from diverse areas of expertise such as medicine, technology and business to build solutions for children and their families through hackathons. Michael is also co-founder of Dock Health, a secure collaboration and task management platform for healthcare providers and their teams. company’s Management Team, Bill helps provides strategic direction and operational planning for Spectralink’s North American business unit. Prior to joining Spectralink, Bill served as VP of Sales for Ascom for over a decade. In his early career, he worked in human resource development. 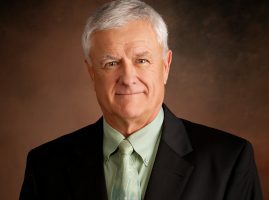 During his tenure, he has traveled to 26 countries where he delivered numerous training programs and speaking engagements on various organizational development topics including leadership, customer service, and sales management. 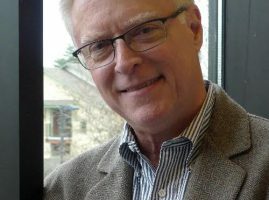 Bill co-authored the book, “Coaching for Peak Employee Performance” which focuses on the day-to- day skills of developing team members to perform at their highest level. Bill holds a B.A. in Business Administration from California State University, Fullerton and is a graduate of the IBM Management School in Armonk, New York. Bill grew up in California but now lives in Austin, TX and is an avid cyclist, scuba diver, and family enthusiast. 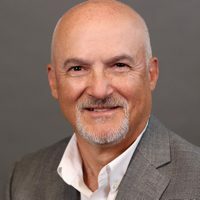 Tim Gee is Principal and founder of Medical Connectivity Consulting, focused on workflow automation through the integration of medical devices with information systems, and enabling technologies. Tim provides strategic and tactical consulting for providers, medical device manufacturers, and health care IT vendors. 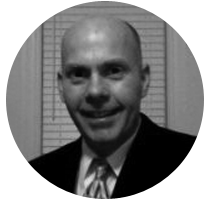 Tim has 25 years of health care experience with care delivery processes, therapeutic and diagnostic modalities in most clinical areas, in addition to e-health connectivity between physicians, hospitals and payors. Areas of expertise include health care messaging, IT governance, merging of Biomed and IT functions, wireless medical devices, converged medical device/enterprise networks, requirements elicitation, regulatory affairs and strategy, connectivity, interoperability, diagnostic and point of care workflows, and patient flow optimization in ambulatory and acute care settings. David Hoglund, Founder & CEO, Integra Systems, Inc.
David has spent thirty years in the medical device marketplace combined with twenty years in diverse areas of wireless and mobility technologies. Core expertise is from software development and device integration to include all phases of wireless from licensed and unlicensed both in the indoor and outdoor space. This domain knowledge space has been gained with Fortune 50 and international companies and has included both hands on design, implementation, and solution deployments on a global level. Educational background includes an undergraduate degree in chemistry and advanced masters and doctoral research studies in biochemistry coupled with business education as an officer in the Air Force. Rikki Jennings, Clinical Workflow Manager at Connexall, began her nursing career in Pediatrics. 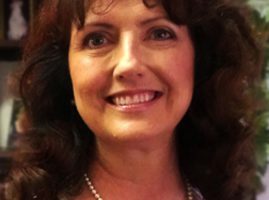 Recognizing a lack of understanding of the value of technology at the bedside by her fellow clinicians, Rikki pursued Nursing Informatics. In Informatics, she found a passion for implementing healthcare IT in a manner that creates safer environments and better outcomes for both patients and staff alike. Today, Rikki shares her knowledge of bedside technologies including: clinical communication systems, patient monitoring solutions, nurse call integrations, and resource management tools with Connexall’s customers to facilitate the design of alarm and event notification platforms tailored to meet the unique needs of each facility. Rikki earned her BSN from the University of Iowa. Rikki lives in Boulder, Colorado with her husband, Anthony and their daughter, Parker. Benjamin Kanter, MD, FCCP, joined Vocera as Chief Medical Information Officer (CMIO) in January 2017. Prior to joining Vocera, Dr. Kanter worked as an industry thought leader with innovative healthcare IT companies, including Extension Healthcare, where he was the CMIO, Sotera® Wireless, where he served as Chief Medical Officer, and AirStrip Technologies as a consultant. Dr. Kanter also served as the CMIO at Palomar Health in San Diego, where he was a member of their executive management team for 7 years. Among other accomplishments, under Dr. Kanter’s leadership, Palomar Health moved from EMRAM stage 2 to stage 6. He was also a medical staff leader, having chaired the departments of medicine at both Palomar Medical Center and Pomerado Hospital, where he was also Chief of Staff. Dr. Kanter earned his medical degree and completed internal medicine training at Northwestern University in Chicago. He completed post-doctoral studies in both pulmonary disease and critical care medicine at the U.C.S.D. Medical center in California, where he remained on clinical faculty after graduation. Dr. Kanter is board-certified in internal medicine, pulmonary disease and medical informatics. Dr. Kanter has been a member of several corporate advisory boards including Cisco, Nuance, AirStrip Technologies, and Spyglass Consulting. He is a published author and frequent speaker on how to seamlessly and securely integrate technology with medical practice. Mwila joined Ascom in 2013, and currently serves as Mobility Product Manager for Ascom North America. Previously, he served for four years as Ascom’s global mobility product marketing manager based in Gothenburg, Sweden. Prior to joining Ascom, Mwila was Chief Technology Officer at Synaps, Sweden; Managing Partner at Evolution Limited; and Senior IT Consultant at Deloitte, Zambia. Pamela LaPine, President and CEO of HipLink Software, has over 30 years of experience in Silicon Valley high-tech companies. Working closely with clients and partners, Pamela has led teams of engineers and professionals from early vision through continued advancement of the HipLink communication platform, positioning HipLink as a leader in critical messaging and notification software. Pamela is an expert in architecting global wireless solutions that reliably connect an organization or a backend system to existing wireless carrier networks. The reliability of HipLink in critical communications is trusted by hospitals and emergency responders throughout the country. 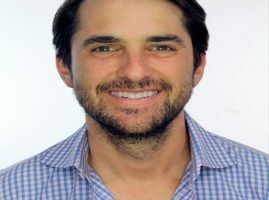 Jack Mark is a technical visionary who can provide direction on product roadmap, mobility and technical trends while mentoring the executive team to a successful exit. Jack has worked in digital health in the last 10 years improving patient care using innovative technology. Jack also worked with large retail organizations as a catalyst and change agent creating compelling solutions that were widely embraced. 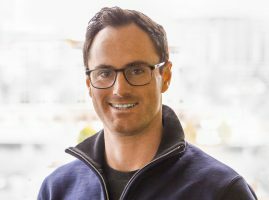 Jack founded Mobile Heartbeat in April 2009 where he developed a compelling collaborative mobile application for caregivers at acute care facilities in the USA. Customers include some of the largest healthcare facilities such as: HCA, YNHH, NYP, Eisenhower Medical, Mercy, Vanderbilt, etc. Jack founded Cuesol/ ModivMedia in 2000 where he partnered with Ahold/Stop&Shop to incubate new retail technology. Jack sold Cuesol/ModivMedia.com in 2007. Bob Porterfield recently joined Doc Halo as Vice President of Product Integrations. 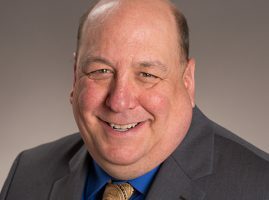 He has worked in the healthcare industry since 2001, and has more than 40 years’ experience in technology-enabled networking, voice and data communication, and alarms and alerts. 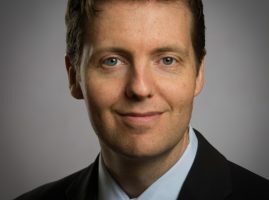 He has worked for several leading companies focused on voice and data communication, with messaging as a key component, including Stryker, Philips, Capsule Technology and Extension Healthcare. Bob is a veteran of the U.S. Navy in Vietnam, and received his degree in Computer Science from California State University, Fullerton. Bob is also an accomplished sailplane pilot and lives in Nevada where on numerous weekends you might find him flying as high to 18,000 feet and across several hundreds of miles of NV, AZ, and CA. He travels Doc Halo’s Cincinnati and Columbus offices frequently … via commercial airliner and not his sailplane. Kenny Schiff is the founder and managing partner of CareSight.com, a patient experience and medical device alarm analytics-as-a-service platform. 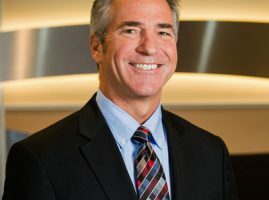 A 22-year veteran of the healthcare technology business, the germination of CareSight began with Mr. Schiff’s development of a healthcare mobility consultancy for TPC Systems, a Connecticut-based systems integrator focused on the hospital market. Starting in 2003, the practice he created introduced Vocera, Connexall, and Ascom to New York metropolitan area customers in such a way that customers achieved sustainable results where other early adopters had failed. Kenny’s team’s high-touch approach to support and on-going after market services led customers to sustained operational impact and the foundation of what has become the CareSight platform. That intrepreneurial venture was spun off in 2007 and has been operating independently since. Kenny lives in Wilton, CT with his journalist wife Jennifer and his teenage daughter Abby. Shahid N. Shah is an internationally recognized healthcare IT thought leader. Shahid has architected and built multiple clinical solutions over his almost 22 year career. He helped design and deploy the American Red Cross’s electronic health record solution across thousands of sites; he’s built several web-based EMRs now in use by hundreds of physicians; he’s designed large groupware and collaboration sites in use by thousands; and, as an ex-CTO for a billion dollar division of CardinalHealth he helped design advanced clinical interfaces for medical devices and hospitals. 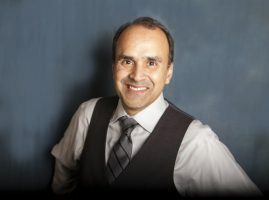 Shahid also serves as a senior technology strategy advisor to NIH’s and TATRC’s SBIR/STTR program helping small businesses commercialize their healthcare applications. 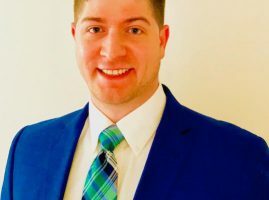 Charles Still came to the healthcare field a dozen years ago from the automotive industry and has worked with Albany Medical Center, Southwestern Vermont Healthcare, and several healthcare startups. He is certified as a patient and quality specialist by both the National Patient Safety Foundation and the National Association for Healthcare Quality. He was part of the team presented with the 2011 Waypaver Award for Bedside Barcoding. His work has been published in the Journal of Healthcare Information Systems and Patient Safety and Quality Healthcare. His 2011 HIMSS International BPOC presentation was awarded the “best educational session of the conference” by Mr. HIStalk. He has presented at numerous conferences in the US, UK and Canada. Bill is a seasoned Information Technology sales executive with more than 25 years of experience. 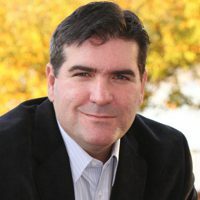 Bill brings extensive knowledge of IT solutions to his role as Director of Enterprise and Channel Alliances for OnPage. 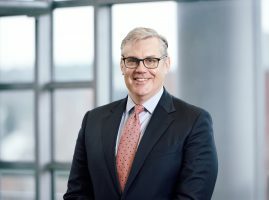 Prior to joining OnPage, Bill served as Senior Director of Sales for Fidelity Investments, where he drove significant revenue for their Centercore business. Before that he held several executive positions at EMC and ProActivity. Throughout his career, Bill has been relentless at building high performing sales teams and achieving high revenue growth for both start-ups and Fortune 500 companies. Anne Weiler is CEO and co-founder of Wellpepper, a clinically-validated and award-winning platform for interactive treatment plans. She previously held global product management roles at Microsoft, in new product development and emerging markets. She spent 3 years at Microsoft Russia leading the $300M Information Worker Business. Anne joined Microsoft in 2001 with the acquisition of Canadian web content management company, Ncompass Labs. Josh Weiner is the Chief Operating Officer at Solutionreach. He joined Solutionreach from Summit Partners, a leading global growth equity firm, where he served as vice president. Through his work with Summit Partners, Weiner served on the Solutionreach Board of Directors for three years. Prior to Summit Partners, he was a consultant with McKinsey & Company. Weiner is a graduate of Stanford University. Mr Welch is an entrepreneur focused on bringing technology solutions to challenging patient safety issues. He spent 17 years of his career as a hospital-based clinical engineer, 10 of which at Massachusetts General Hospital where he created one of the first general care floor physiologic surveillance systems. He left MGH to develop and commercialize continuous monitoring systems that provide early detection of physiologic deterioration in acute care settings. He has held executive positions in Engineering, Marketing, Quality Systems and Regulatory Affairs at several early stage companies. Jim is an active participant in international standards and a regular contributor to the AAMI Foundation focused on alarm management. My Welch has been awarded over 10 medical device and systems patents and published in the field of continuous monitoring and alarm management. He is the 2011 recipient of the AAMI Foundation & Institute for Technology in Health Care Clinical Solution Award. Presentation Title: Integration of mobile messaging and physiologic alarms. Challenges and benefits. Unexpected physiologic changes can occur at any time, and on any patient in the acute care setting. Furthermore, these changes often represent early stages of life-threatening deterioration, many of which occur in non-ICU settings where nurse to patient ratios do not allow for direct patient observation. Distributing clinically actionable alarms through messaging systems to assigned care givers provides an immediate and directed response to the deteriorating patient. The challenge is how to filter and direct actionable alarms to assigned care givers within their existing work flow. End-users prefer a single mobile device that provides work-flow messages, medical device alarms and integration with the Electronic Health Record. However, physiologic monitors can generate hundreds of alarms per patient per day resulting in alarm fatigue and often technology abandonment. Alarm configuration, filtering and management can reduce the number of alarms so that only actionable events are distributed to the messaging system. Successful integration coupled with clinical practice development holds great potential in reducing adverse events, avoiding escalation of care and thereby reducing cost. This presentation will address the technical, regulatory, management and human factors issues surrounding the integration of medical device alarms with messaging systems. George is the Director of Telecommunications for Northern Westchester Hospital. 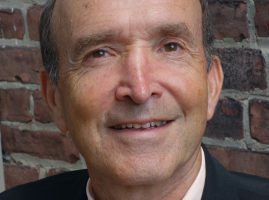 After starting his career as licensed clinical therapist, George gained a unique clinical perspective of health technology and communications. On a day to day basis he oversees the department that is the system administrator responsible for all wireless communications (Vocera, Tiger text). The nurse call alarm system, clinical alarm responsiveness data analytics, and several integrated technologies also fall under his department. He also supervises the administration of their PBX system, as well as, all audiovisual. George holds a Masters Degree in Psychology and Mental Health Counseling from Pace University. George was a top “40 Under 40” awardee of Westchester County. He continues to prove himself in the world of healthcare technology and analytics. 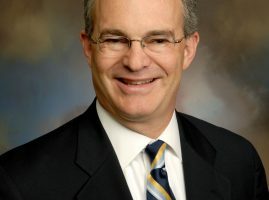 Joseph Wolfgram has over three decades of experience in Information Technology, currently as the Chief Technology Officer for Mission Health in Asheville, North Carolina. Highlights of his career include establishing a software company in 1991, building the nation’s largest fiber-optic legal research network, and serving as the Head of IT for Bill Gates’ philanthropic foundation. Joseph holds degrees in Psychology, and Business Administration with emphasis in Organizational Psychology. He is also a master certified practitioner in Neuro-linguistic Programming (NLP), as a Hypnotherapist (MCHt), and Executive Coach. 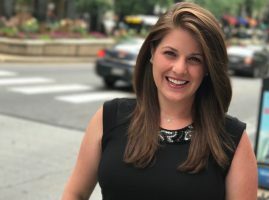 An accomplished Speaker, Joseph presents at industry conferences, expert panel discussions, and mentoring workshops focused on advancing women in technology. Joseph is currently writing a book entitled The Human Mind Operating System, in support of his desire to see all people achieve their greatest potential. © 2017 hmc2017. All rights reserved.